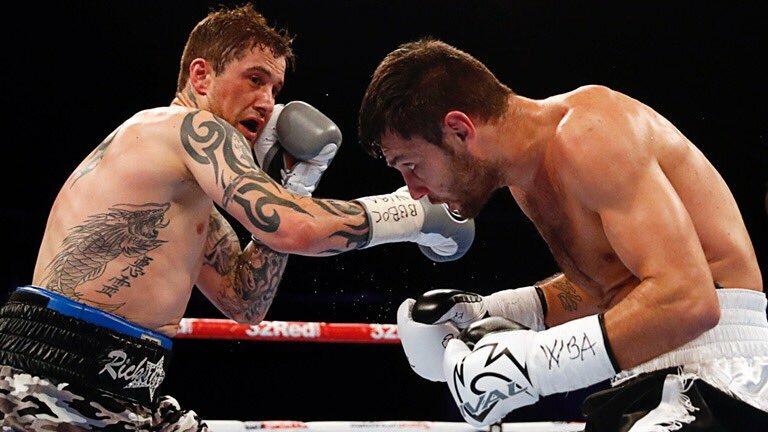 Seemingly, the experience of Ricky Burns (41-5-1, 14 KO's) swayed the eye of the judges and brought him through the skillful, savvy & determined Kiryl Relikh (21-1, 19 KO's) in a close and competitive WBA super-lightweight contest in Scotland. This writer scored the fight 116-112 to Relikh, while many online fans and experts felt Relikh was "hard done by" to lose his first world title challenge and favoured the formerly unbeaten fighter by a couple of rounds. A 41st career win for Ricky Burns, who scraped the unanimous decision from controversial scores of 118-110, 116-112 x2, can now initiate a title defence against the talented and heavily-backed Adrien Broner on stateside. The 33-year old Burns, though, is perceived fortunate to take that fight as he struggled to convincingly defeat his mandatory challenger in a fight he looked on the verge of being taken out. He reminded fans of his toughness and durability, but wasn't enough to scare Adrien Broner out of a showdown. The Scotsman conceded the early rounds as he struggled to comprehend the relentless and offensively intelligent Relikh who showcased a large artillery of weapons, then topped by his thudding power in the second round with a barrage of shots upstairs. Burns was in a real fight -- he, his team, and the crowd knew it. Relikh's sustained attacks were received well by trainer Ricky Hatton who stated in the corner that Burns would be "blowing out of his arse!" but instead, the champion rallied in the mid rounds with some neat work to the body and managed to at least decrease the challenger's high output. The majority of Relikh's success stemmed from the sharp jab, stabbing right hand potshots each time he switched stances from orthodox to southpaw. It wouldn't be outrageous to suggest he bamboozled Burns at times. But as impressive as Relikh was, the gulf in world level experience became apparent as the fight entered the "trenches" and each fighter slugged it out for supremacy. Burns' best shot of the night came late, too, as a jolting right landed flush on the resilient chin of the challenger. Just as the momentum looked to be with the champion through six, seven and eight, a flush counter left hooked rocked Burns to his boots and the end looked near. Burns used his experience -- backed up, covered up and dashed around the ring to escape the clutches of the menacing Relikh -- but another sweet hook to the body turned the tide even further and doubt creeped into the champion. Respective trainers Tony Sims and Ricky Hatton enforced strict tactics to each fighter, but were minorly effective as each fighter instead chose to engage in a toe-to-toe scrap in the later rounds. After 12 thrilling rounds, the majority of neutral supporters favoured the early and late work from Relikh, while some leaned with Burns' small but sustained work throughout the mid rounds. It was controversial, and Burns again went home with his WBA title and a showdown with Adrien Broner well intact.